The RUN XT look almost identical to the 2017 RUN, and that's because they are. The size is unchanged, but the new version has IPX7 water-resistance. You get an assortment of eartips and wings to keep them secure in your ears—Jaybird stresses the workout comfort of the Run XT. The right earbud also works in mono mode if you need to remain aware of your surroundings while working out. An updated Jaybird app is rolling out with integrated podcasts, but it's also where you'll find all the EQ controls. Sadly, the new RUNs still don't support any low-latency codecs like AAC or aptX—they're SBC only. Jaybird promises four hours of battery life per charge for the RUN XT, plus two more cycles in the battery case. That's a little less than most true wireless earbuds available now and exactly the same as the original version. It's probably the same charging case, and it still microUSB. That was forgivable in 2017, but now? At almost $200, I would expect USB Type-C in 2019. The Jaybird RUN XT will go on sale in February for $179.99. You'll be able to get them from Jaybird directly as well as Amazon and Best Buy. 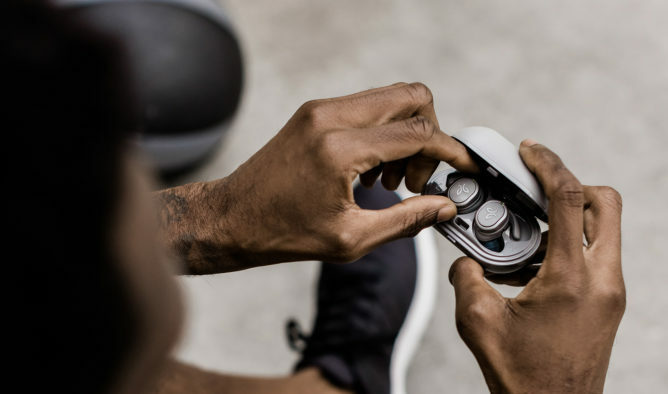 PARK CITY, Utah -- Jan. 29, 2019 — Jaybird, a leader in sport headphones for runners, announced today the Jaybird RUN XT True Wireless Sport Headphones, the next evolution of Jaybird RUN designed for runners and athletes. 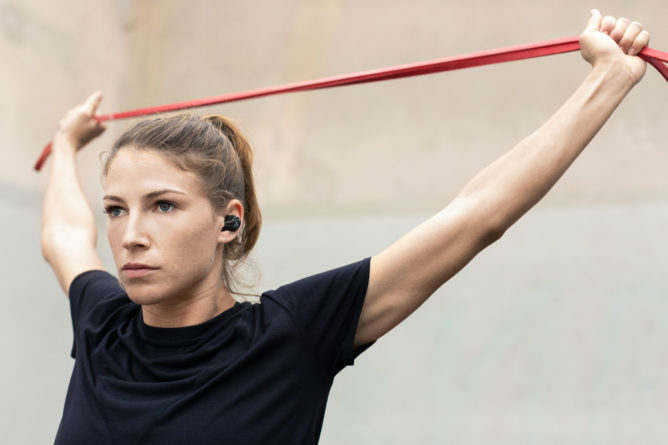 Now totally waterproof (IPX7) with new color options, Jaybird RUN XT combines a streamlined, ultra-comfortable fit with premium sound for reliability in extreme conditions - whether you’re pursuing your limits on a mountain trail or pushing through that last mile on a treadmill. With its fully waterproof, IPX7 housing, Jaybird RUN XT is built to last in extreme conditions. Protected by a double hydrophobic nano coating, Jaybird RUN XT is also sweatproof so it can stand up to even the hardest workouts. The wireless buds provide an ultra-comfortable active fit with interchangeable silicone ear tips and fins that securely fit almost any ear. You can manage music, calls and your phone’s Siri or Google Assistant at the push of a button, and the ability to use the right bud individually means you can stay aware of your surroundings while enjoying your favorite sounds. 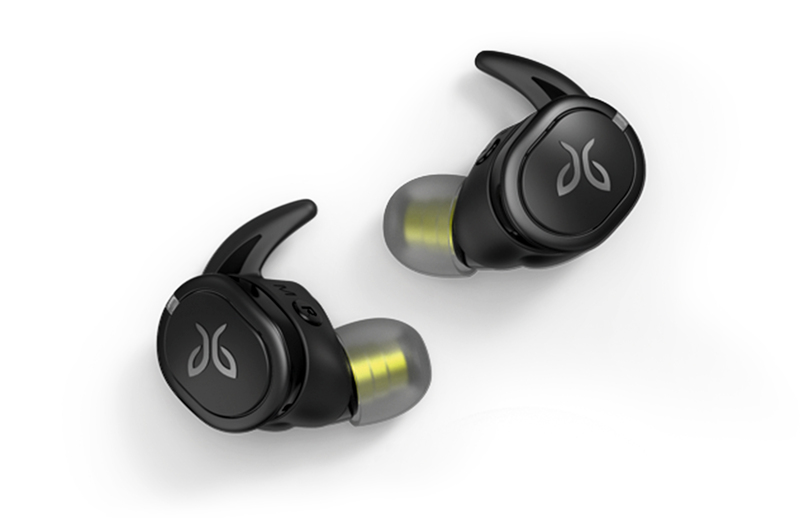 Jaybird RUN XT's provides 12 hours of playtime, with four hours in the buds and an additional eight hours in the carrying case, providing enough power for all-day outings and extended adventures. A five-minutes quick charge provides a full hour of playtime, so there's no excuse to not get out there. Each bud fills your ear with immersive, crisp sound that is uncompromising in its quality. And with the Jaybird App, you can fully customize your music experience by adjusting the EQ - pump up the bass or crank the treble with your own settings or choose from hundreds of others shared within the Jaybird community. Spotify® integration makes it easy to listen to your playlists and discover others. The app also features a Find My Buds feature to help you locate them in case they go missing. In conjunction with the launch of RUN XT, Jaybird will also debut in early February a new podcast playlist feature on the app. Podcasts have become one of the most go-to content sources for runners and fitness enthusiasts. With the help of our incredible roster of athletes and brand ambassadors, we've curated playlists to help you discover that extra motivation to meet your active goals. We'll be updating the playlists every two weeks, so you'll always find something new and interesting to #poweryourpassion. Jaybird RUN XT True Wireless Sport Headphones are available in Black/Flash and Storm Gray/Glacier and are expected to be in stores in February and today from select retailers including jaybirdsport.com, bestbuy.com andamazon.com. The suggested retail price of RUN XT is $179.99. For more information, please visit jaybirdsport.com or connect with us on Facebook and Instagram. The Jaybird app is free and available through the iOS® and Android™ app stores.